Theme: God’s Grace Passage: 1 Peter 5:1a0–14 In the midst of life’s difficulties and spiritual attacks: 1. Keep an eternal perspective (10–11). a. God is the God of all grace b. God enables us to share in Jesus Christ’s glory c.	God fortifies us to endure suffering. d.	God alone possesses eternal power. 2. Stand firm in the true grace of God (12–14). a. “True grace of God” b. Our responsibility: “Stand firm” i. Hold on to what you know ii. Commit yourself to loving your brothers and sisters. Main Idea: In the midst of life’s difficulties and spiritual attacks, we are in right relationship with the all-powerful God who gives us his grace in Jesus Christ. Application Questions: •	When we speak of God’s grace, what does this mean? Try to define God’s grace from what Peter has said about God and his actions toward us throughout this letter. •	How does God fortify us as the verbs suggest at the end of v. 10? •	What does Peter’s choice to praise God for his power suggest (v. 11)? Why do you think he chose this attribute of God over others? •	Sum up what Peter has exhorted and testified concerning the true grace of God. •	How do you stand firm in this grace (v. 12)? Passage: 1 Peter 5:6–9 Theme: Humility before God and Standing Firm against the Devil As we face difficulty, suffering, and frustration in life, we must 1. Accept them as part of God’s plan to mature us (6–7). •	Purpose of acceptance: You will be exalted at Christ’s appearance •	Manner of acceptance: You can presently cast your anxiety on a caring God. 2. Remain alert to the true reality of what is happening (8a). 3. Stand firm against the devil (8b–9). •	Why? Your adversary wants to destroy you. •	How? 	Hold fast to the faith. 	Remember and pray for those suffering similarly. Application Questions: •	Why does it prove so difficult to humble ourselves under God’s mighty hand? According this text, when will we see results? •	How can we cast our anxieties upon God (Don’t stop after listing only prayer)? In what ways do you struggle believing that he actually cares for you? •	How can we remain alert to the reality of what is happening to us as we go through times of suffering and doubt? •	In what ways does Satan destroy us today? Discuss applications for the ways that we can stand firm against him. Passage: 1 Peter 5:1–5- Theme: Caring for Christ’s Flock 1. Church leadership must care for Christ’s flock well (1–4). a. Leadership is part of Christ’s plan for his church (1). b. Leadership primarily involves member care (2a). c.	Leadership that cares for church members must be characterized (2b–3) i.	by a willingness to follow God’s design ii. by an awareness to serve rather than receive iii. by an example for others to follow d.	Leadership serves Christ to bring him glory (4). 2. Church members must submit to this leadership (5a). 3. Church community must act in humility towards one another (5b). Main Idea: We must humbly submit to one another to glorify Christ as he shepherds his church according to his design. Application Questions: •	How would you describe effective leadership in any aspect of life? How might that be similar to what we see here, and how might that differ? •	According to vv. 2–4, list and describe the characteristics of effective church leadership. •	How do we measure successful church leadership according to v.4? How might that differ from the way in which effective church leadership is measured according to typical church standards? •	What should submission to church leadership look like in your life (5)? •	How can we foster genuine humility at all levels within the church community? Passage: 1 Peter 4: 12-19 Theme: Persecution of the Church. This week we will study 1 Peter 4:12-19, where Peter reminds us that to suffer for Christ is to be expected and that those who suffer are blessed in his kingdom. The worship service will focus in on the persecuted church, dedicating some time to consider the reality for many of our Christian brothers and sisters around the world, and to pray for those who are suffering for the sake of Christ. Discussion Q’s: 1. Why do you think suffering surprises so many of us, especially in the West? 2. What does suffering prove about us according to Peter? 3. Why can we rejoice in the midst of suffering in light of God’s promises? 4. How can you become more engaged with the sufferings of Christians around the world? Passage: 1 Peter 4:7–11 Theme: Living out Christ’s Victory How we live out Christ’s victory: 1. Understand the Time (7a) 2. Maintain clear thinking that turns to prayer first (7b) 3.  Cultivate community with fellow believers (8–11a): a.	Earnestly love (8) b. Demonstrate hospitality (9) c.	Serve with your gifts (10–11a) Main Idea: Believers glorify God by living their lives for the betterment of Christ’s community rather than themselves. Application Questions: •	How could Peter claim that “the end of things is near” and yet 2000 years has passed? Did Peter get it wrong? How is this statement applicable to our lives today? •	What can we do to be self-controlled and sober-minded in our thinking? According to verse 7, to what should clear thinking by believers lead? What hinders you in this area? •	How should love “cover a multitude of sins”? Does this mean that we should simply overlook sin? •	What spiritual gift has God given you? How are you utilizing this gift for the betterment of Christ’s church? What is hindering you from serving? •	According to verse 11, how is God glorified? Therefore, how do we bring God glory according to this text? Passage: 1 Peter 3:18–22 Theme: Jesus’ Victorious Ascension According to 1 Peter 3:13–17, if we suffer for doing what is right in conduct and witness, that is far better than doing wrong to escape suffering. Why? Answer: In so doing, we are demonstrating our hope in and loyalty to Jesus Christ. Notice from this text what Jesus has done so that we should hope in and remain loyal to him: 1. Jesus suffered to bring us into right relationship with God (18a). 2. Jesus showed his victory over everything and everyone that opposes God through his death, resurrection, and ascension (18b–20). 3. Jesus saves all who pledge their loyalty to God through his resurrection. 4. Jesus subjected all spiritual powers under his authority through his ascension to God’s right hand. Main Idea: Even if it results in our suffering, we must remain loyal to Jesus because he had the final say. Application Questions: •	How does 1 Peter 3:18–22 relate to the immediately preceding context of 3:13–17? How does it fit into the larger discussion of right living and submission that began back in 2:11–17? •	How does Christ’s suffering serve as an example to us? •	While the understanding of the text may be difficult, what positive motivations can we take from Christ’s proclamation to the imprisoned disobedient spirits in vv. 19–20. (If you were present for the sermon, what is the biblical and extra-biblical background to vv. 19–20? How does this understanding help inform the ministry of Christ at his resurrection?) •	Is Peter suggesting that the act of baptism saves in v. 21? How do explain this verse in light of the clear teaching of scripture that salvation comes through faith in Jesus Christ? •	What do you find so assuring about the actions of Jesus in this text, especially of his subjection of the spiritual forces to his authority and rule? •	How does this text help us remain loyal to Jesus Christ, even in the midst of suffering? What actions does it call you to do in your everyday life? Passage: 1 Peter 3:13-22 Title: The Reason for Our Hope Summary: Christians possess a unique hope that transcends every circumstance humanity might find themselves in. Suffering provides those who are in Christ a unique opportunity to prove the surety of that hope. We rightly have an aversion to suffering, especially when it is purposefully for our harm, and yet if we truly believe God’s word regarding his promise and our hope, we have nothing to fear. As impossible as this sounds to fear-prone people, faith emboldens hope and hope proves itself in the face of mistreatment. The critical question for us in suffering is, “Whose glory do we desire?” A vision for the glory of God enables us to endure suffering with true hope. Outline: I. Don’t Be Afraid…Seriously (vv. 13-14) II. Be Devoted to Christ (vv. 15-17) a. Follow Christ’s Example (v. 18) b. Trust Christ’s Work (v. 18) c. Rejoice in Christ’s Triumph (vv. 19-20) III. Stand Firm in Christ’s Redemption (vv. 21-22) Discussion Q’s: 1. What cause you to fear most? 2. How are Christians blessed when persecuted? 3. If you had to choose, would you rather have God’s blessing or comfort? 4. What are the benefits of standing firm when facing mistreatment? 5. What is an area in your life in which you need to “set apart Christ as holy?" 6. Does your typical response to mistreatment (or suffering in general) prove to others that you have a greater hope than comfort in this life? 7. What is the basis for a “clean conscience”? What are you hoping in for your standing before God? Main Idea: We must treat others with love no matter their treatment of us because God has treated us this way. - Attitude and treatment of fellow believers (8) - Response to mistreatment (9) - Reminder and warning that God judges according to our treatment of others (10-12) Questions: 1. Which of the attitudes and actions in verse 8 do you struggle with? 2. How are you serving within the church to demonstrate the actions of verse 8? 3. How would the average American citizen respond to the teaching of verse 9? Why do we struggle with this teaching? 4. How do we bring together a doctrine of grace that we are saved by faith alone with the teaching in verses 10-12 that speaks of God judging according to "works"? Passage: 1 Peter 3:1–7 Theme: Admonitions for Christian Wives and Husbands 1. Christian wives imitate Christ as they submit themselves to their husbands by doing what is right (3:1–6). 2. Christian husbands recognize their wives as co-heirs of God’s grace when they treat them with respect and honor (3:7). Main Idea: God desires to use Christian wives and husbands to display his glory through the transformation that he brings to the marriage relationship. Application Questions: •	Discuss what submission in marriage means for secular society today and why it has such negative connotations. •	According to this text, how should Christian wives carry out submission to their husbands? Does it matter whether or not the husband is a believer or not? •	How are we supposed to apply Peter’s teaching in vv. 3–4 today? •	What does it mean that husbands are to treat their wives with consideration and respect because they are the “weaker vessel”? How do we live this out and teach this without sounding misogynistic? •	What does it indicate that Peter does not provide specific examples of what this should look like for husbands and wives in their actual marriages? Passage: 1 Peter 2:18-25 Title: The Christian’s Response to Mistreatment Summary: How we respond to mistreatment reveals a lot about our faith in Christ. This week we will look at Peter’s exhortation for the exiled believers to endure mistreatment with faith, because of the example of Christ. Outline: I. Peter’s Exhortation to Endure Mistreatment (2:18-20) II. Christ’s Example as the Suffering Servant (2:21-23) III. The Christian’s True Freedom (2:24-25) Discussion Q’s: 1. How do you generally respond to mistreatment? 2. Read Isaiah 53. How does Isaiah describe Jesus? Write down or circle the words that describe his treatment. 3. How does Jesus mentor us in suffering? 4. Think for a moment and be honest...Do you think you deserve to be treated better than Jesus was? What would it look like for you to follow the footprints of Jesus in your suffering/ mistreatment? 5. How do you benefit from Christ’s suffering? 6. What situations are you currently in that require a shift in your perspective on suffering? 7. If the Christian calling is truly into suffering of some kind, is Christ worth following to you? 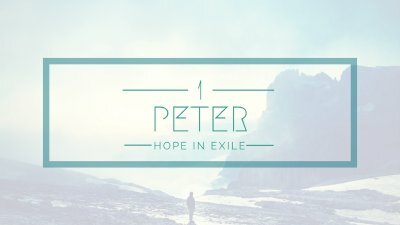 Review the series on 1 Peter so far. Commission students, teachers, administrators and families for the coming school year. Passage: 1 Peter 2:13–17 Theme: Living Submissively We are commanded to submit to the authority structures established in this world. To whom (13–14)? All human authorities, especially those governing us Why (15)? This is God’s will to address the ignorance of this age. How (16)? We use our freedom to serve as God’s bondservants. Application (17): Give both peers and authority figures the honor they are due. Main Idea: God’s children are to use their freedom to good by living submissively with one another in whatever context they find themselves. Application Questions: •	When you hear the command to submit to every human institution, what goes through your mind? What is submission? Why does it have such negative connotations today? How should Christians view submission? •	Does v. 14 imply that Christians should do things that may be considered wrong if the governing authorities command it? Discuss your response. •	How do we obey the command in verse 16 without turning the Christian life into a drudgery? •	What can we do to practically live out verse 17? Theme: EX2: Exemplary Exiles Passage: 1 Peter 2:11–12 1 Peter 2:11-12 calls us to exemplary living. Why: Who we are—foreigners and exiles (11a) How? Two ways in which we live as exemplary exiles: 1. Abstain from sinful fleshly/natural desires (11b). 2. Maintain right behavior (12a). For what purpose? In the end, those we live among will glorify God (12b). Main Idea: God’s children bring him glory by living lives consistent with his word and character. Application Questions: •	What do the ideas of foreigner and exile communicate about us as Christians? •	What are the fleshly desires that we are to abstain from? How are we to go about this according to verse 11? •	How do we maintain right behavior (v. 12)? •	In what ways may we as Christians be spoken evil of by this world? •	What serves as the ultimate motivation for this call to exemplary living in this passage (12b)? How does this take place now, and how will this take place in the future? Passage: 1 Peter 2:4–10 Theme: God’s Building Project 1 Peter 2:4–10 describes two projects God is building: 1. God’s House (2:4–8) a.	Jesus represents the foundational Stone upon which the house is built. i. Living ii. Rejected by people iii. Chosen and precious to God b. Those who come to Jesus are the stones God uses to build his house i. Purpose: to establish a holy priesthood to offer spiritual sacrifices to God. ii. Status: Honor despite the shame of this world. c.	Those who reject Jesus stumble over the Living Stone. i. Result: They fall to their own destruction ii. Reason: They disobey the word; this is God’s will for those who reject Christ. 2. God’s People (2:9–10) a. Identity: chosen race; royal priesthood; holy nation; people of his own b. Purpose: God has chosen us to proclaim his actions towards us. c.	Basis: God extends mercy to us sinners who believe in Jesus, the Living Stone. Application Questions: •	According to 2:4–8, what elements compose God’s House? Who is included and why? Who is excluded and why? •	How are those who come to Christ a priesthood? What does this priesthood mean. and what doesn’t it mean? •	How do we offer spiritual sacrifices that are acceptable to God (2:5)? •	Discuss the various elements that describe God’s people in v. 9. How are these encouraging to you? •	In what ways have you been a recipient of God’s mercy (v. 10)?